Jam Packed. Day 5 in Panama!! Today was crazy busy (hence the title) and I don’t think I was quite prepared for how much we were going to do. We started off the day bright and early with an aerial class where we learned to use silks. Might be one of the hardest things I have ever done. I have about zero upper body strength so it was really, really difficult for me, but I still had so much fun!! Great way to start off the day. We then headed off to the University of Panama for another class. Kelsey and Chris taught a ballet class, which was great! They did a great job teaching and gave really great corrections. I know I learned some knew things in that class and I’m sure the University students did as well. I was talking to a few of them beforehand and they said they didn’t like ballet all that much, but I could tell they were really enjoying themselves this time. 🙂 We then headed off to the Panama Canal. 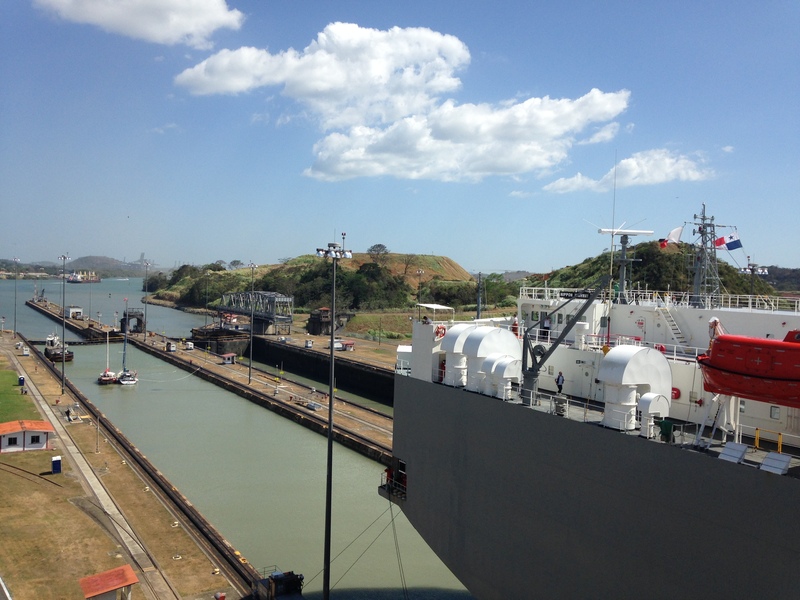 I loved learning about the history of the Panama Canal and how it worked. We walked up to the observation deck and I spent a decent amount of time there. The weather was INCREDIBLE. The breeze felt so great from up above and it was extremely refreshing being by the water. We got to see a few boats pass by too, which was really cool. Here’s a pic. The boat was massive. After the Panama Canal, we went to Aldeas SOS in Panama. It’s run by the same foundation as the one in Colon that we went to earlier in the week, but this was closer to the city. One of my cons for the day… I was so tired by the time we got to the orphanage!! The silk class felt like days ago, but somehow I made it through okay! One pro: the kids were so well behaved!! I could tell that a lot of them really wanted to dance it was great to see them so eager. We had a mix of older and younger girls and this was the first time we didn’t split up into two groups. It actually worked out really nicely. With all of us working together, our energy was really great and I felt like we were able to keep their attention a little bit longer. One of my favorite moments of the day was when I was dancing and helping one of the girls and she decided to go sit down. I had been working with her for a while, so I went over to her and asked her to dance with me. She kept saying no, so I kept asking and eventually she said yes! After that she was dancing full out with a ton of energy so I’m very glad I kept asking her to dance with me because I think she really enjoyed herself. I was so impressed with the kids at Aldeas. They were so well behaved and it was the first place I didn’t really have to discipline the kids very much and it genuinely seemed like they wanted to dance. Plus, one of the boys, Alex, was killing it!!! He was so great! He knew every move and I could tell he really liked the hip hop steps. He also performed the dance we taught them by himself, which was awesome!! 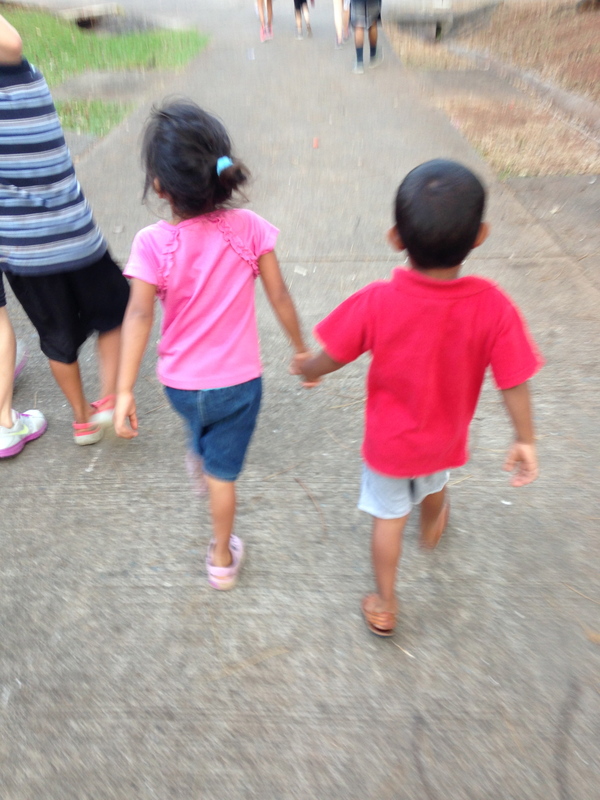 Like usual, after the dancing ended, we stayed and played with the kids for a while before we headed back to Casco. One of my favorite pictures of the day!! These two kids were adorable. When we got back to Casco, we spent a little bit of time doing some shopping where all the vendors were. It was fun looking around at all the stuff. They had some beautiful paintings and cool little knick-knacks. We then got dinner at a nearby restaurant called La Vaina. 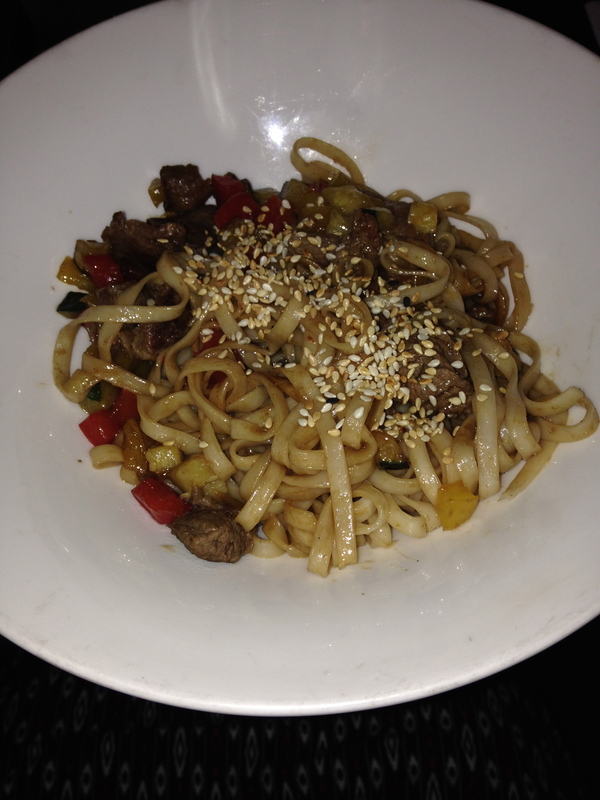 I got the beef wok with noodles and it was super tasty. We then went to a bar called Teatro Amador and heard some live jazz music! The woman who was singing sounded exactly like Regina Spektor. It was kinda crazy.